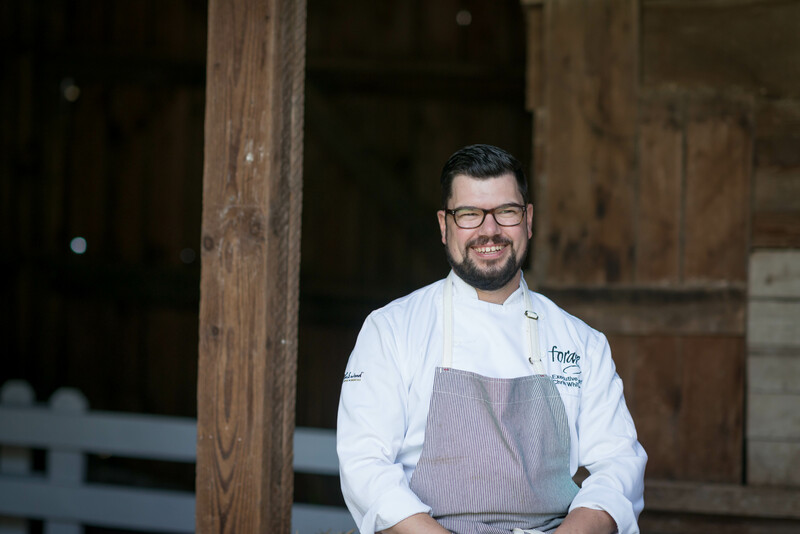 Chef Chris Whittaker and the team at Forage (1300 Robson Street) have been cooking up something special… Join them at 6:00pm on Thursday, November 10 for the launch of their new Watershed Dinner Series with Gene Covert of Covert Farms Family Estate. A watershed is a collection of land, rivers and tributaries draining into a common source. In most cases on the Pacific Coast, these drain into the mighty Pacific Ocean. Getting to know these special places better helps us protect them. It helps us to know how to plan for a sustainable farming legacy in BC, for now, and for the future. With their Watershed Dinner Series, Chef Chris Whittaker will bring together the best of food and wine from each unique watershed in BC. Sommelier Margot Baloro recently divided up Forage’s wine list of wine growing regions in BC by watershed, and then by sub-regions of that watershed based on wine styles. On their wine list there are 4 major watersheds. The largest, the Columbia River Watershed is the backbone of the biggest wine growing region in BC, the Okanagan. Within the Okanagan, one can notice differing styles of wine produced from grapes of regions within that large land area. Each of these unique watersheds can be explored in greater detail by inviting area farmers into Forage. Through the food and wine of those sub-regions, we can understand the challenges they manage in their own backyards and celebrate their successes. There is a movement afoot to determine separate geographical designations for sub-regions of wine making areas in BC. There’s never been a better time to explore this concept. Hear all about this special 650 acre family farm directly from Gene Covert himself. Enjoy delicious food and drink from Covert Farms Family Estate prepared by Chef Chris Whittaker and joined by other wines of the Southern Okanagan. Taste sold out wines including the 2012 Grand Reserve Cabernet Sauvignon that won our Chef Whittaker the Silver medal at Gold Medal Plates last November. Get the opportunity to taste a unique solera aged Cab-Zin Ambra (sherry-style wine) that’s not available for purchase. Tickets are $125/per person (plus fees) and can be purchased through Eventbrite.